Leap Motion has been working on its admittedly cool motion tracking technology for a few years now. But while the original hand tracker failed to rival the venerable computer mouse as the primary means of interacting with the two-dimensional computer interface, the company has been focusing its efforts in another area where the technology will be a more natural fit: virtual reality. They’ve already managed to work as an add on for the Oculus Rift and HTC Vive on Windows, and now the company wants to bring its tech to mobile phone-based virtual reality. 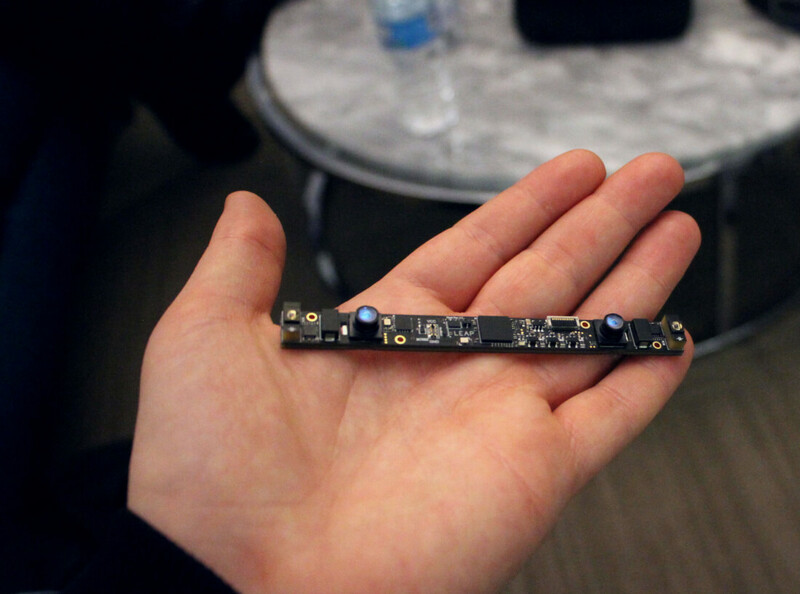 The Leap Motion Mobile Platform uses two miniature cameras in a small strip that can be embedded into mobile head-mounted displays, to detect finger motion that’s integrated into lower-powered VR experiences. The company says it “reinvented” its Orion software to run at nearly 10 times the speed, and as a result performance is “smoother and more accurate” than ever before. The system is supposed to be showing up in commercial headsets next year, although no specific devices were revealed. Currently Leap Motion is showing off a reference design for Samsung Gear VR and the results are encouraging, according to first impressions by TechCrunch and The Verge. Leap Motion’s standard demo is a graphically non-intensive toybox where you can create and bat around blocks with your hands. The engine is relatively good at figuring out when you’re trying to grab an object, says The Verge, although it’s still not as reliable as hitting a hardware button. CEO Michael Buckwald promises there will be announcements from partners “soon”. Leap Motion will be hosting demos at major VR events this month, and given the timing of the announcements we can probably expect to hear more at CES in Las Vegas next month.